Prefabricated or factory-made housing is a great way to provide more people with access to affordable housing in a short period of time. 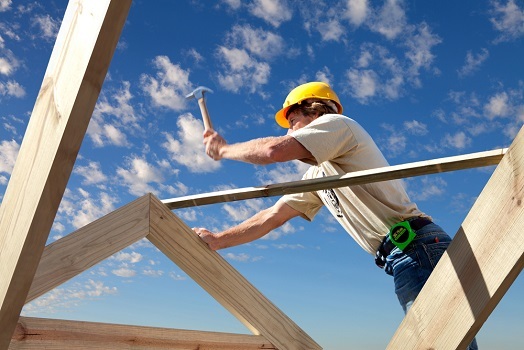 Prefab NZ, an industry association of housing prefabricators, has just released a report into the industry's capacity to produce houses for Kiwibuild. In order to build excitement, they are also launching a nationwide design competition for a tiny one or two bedroom house plan. Prefabrication may help Housing Minister Phil Twyford to deliver the affordable housing that Auckland needs, with the government likely to provide low interest or no-interest loans to pre-fab companies to give them the confidence to invest. While the Labour government were elected on a platform of poverty reduction and affordable housing, traditional methods of building continue to suffer due to affordability constraints, time lags, land supply issues, and a construction skills shortage. According to Pamela Bell, Prefab NZ's chief executive, "Part of the directive with Kiwibuild is around longer term transformation in the construction sector... If it is going to happen, it's going to happen under Kiwibuild, but it is going to need close alignment with the government and MBIE." Factory-made homes are cheaper to produce and can be assembled on-site much faster than traditional homes. This form of building is capable of speeding up current release estimates from MBIE, which indicate it's going to take "years to ramp up" building. Tiny housing is also likely to be part of the prefabricated revolution, with smaller and more affordable homes built to service the growing Auckland population. "Our demographics mean we need more one and two bedroom houses," said Bell, with the Centre for Research, Evaluation and Social Assessment (CRESA) estimating that as many as 180,000 homes could be made quickly on existing back yards. New Zealand already has some distinct advantages when it comes to prefabricated builds, including access to quality materials and a mature forestry sector. According to Gary Caulfield, chief executive of XLam, a high-tech prefabricator based in Nelson, "Though New Zealand is behind Europe in the use of cross laminated timber (CLT), one significant advantage we already have is the type of wood we use in construction – radiata pine and Douglas fir – compared with the spruce that is widespread in Europe, which has properties that make it difficult to treat... There is also, given our well-established forestry sector, no difficulty in expanding the production base for CLT from the running start we already have, which would lend a time and cost boost to the construction industry that is tasked with pushing forward the massive housing programme."